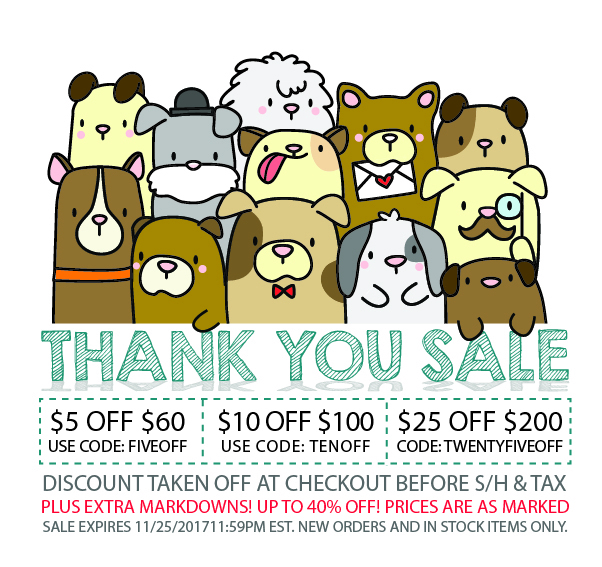 Annnnnd this little sale is happening right now! I love the lion dance sets and can’t wait to receive mine! OMG...this Little piggies are soooo darn cute!!!! I already like you (and love you :-)) on Facebook! And obviously I follow you on Facebook. I follow you on Facebook and think your new stamps are amazing! Always Love the stand alone dies. Very versatile. The lion dance stamps set is so cute! Love Mamaelephant, as always with great designs! Love the release....cant wait for the doggies! Follow you on instagram too! Love the lion dance stamp and thank you for putting lunar animals on sale. I already follow you on instagram. Great release! I like the stitched frames in the Hug It Put die set. Great release - look forward to try it! I'm a follower on Instagram. This is an awesome release. I love the dancing lions and the little piggies. I am in love with your stamps. They are so whimsical and fun and adorable. Thank you for the chance to get my hands on more of them. And I follow on twitter. And I follow and like you on Facebook. Great projects. Looking forward to the design team creations. Great release and blog hop. Love the new release as always! Everthing is just so awesome!!! Love those little piggies and the sentiments set. Those little piggies are just SO stinking cute!!! I love them!! There comes the wonderful stampede :) Love the inspirations team!! I just adore the font used for Scripty Notes! I obviously already follow the fab Mama Elephant on all social media so sharing, tweeting, and commenting to enter has been done, thanks for the chance to win! Amazing release with so many fun sets, and the Chinese New Year lion dance set is simply unique like no others! Great blog hop and awesome projects with the new release. love the stamps and dies. So creative and fun. I follow you on Twitter and tweeted about your release. All of these stamps are beautiful, but that that flowery Thanks stamp is killing me! The little pigs are so adorable! They pair so well with the bubbly-cute Scripty Notes. I love your new release. Such a delight to imagine what to make with them. please tell me those dogs are a new stamp set!! eeee! i follow on facebook love the new release! love your stamps and inks! A fabulous release and some super cute cards in this post. Oh and I follow you on facebookxx forgot ! Liked your FB page and just shared as Arianna Barbara. 3. Follow you on Twitter and just tweeted (@raggiodiluce82). Super cute release with such fun images, enjoyed all the fabulous work by DT's! Followed and shared on FB! Already follow u on Twitter and twitted! Great release! Some gorgeous stamp sets and creative cuts here. I love Mama Elephant products! Love the dragon new year stamp set! Such a cute new release! Always love seeing what is created! Love the latest release! I also love these cards! I'm always obsessed with anything that has hearts on it! I don't know how you guys knock it out of the park each release but you do. Wow! Oh, can't wait to see more projects using the Lion Dance stamp set! Such a great release! Love your products! Great release! I like the stitched frames and the little pigs! What beautiful projects and I love that Botanic Thanks stamp! Thank you for the chances to win!! I followed you and posted on FB. These cards are just so adorable !! Love the release. thanks for the great inspiration. This is all tooooo cute!!! of the box. Darling stamps. These little piggies need to come home with me. �� Amazing products! Good luck everyone! I follow you on IG, FB, & Twitter. Very beautiful stamps!!! I would be happy to craft with any of them!! They are too cute! I love the little pig! Loving your new botanical thanks stamp!! Great new additions! I really like the scriptures notes set! I follow you on a Instagram! Great release! Especially loving the lions. Thanks for the great sale too! My goodies are already here!